“Less production cost and continuous cash inflow are the two main highlights of integrated farming that keeps the farmer stay in the business thus I always worked towards farm integration. We do face lot of tribulations due to dearth of labor and selling challenges yet the farm is functional and generates monthly revenues as ours is an integrated farm,” shares Mr. Barun P Singh, banker turned farmer. He established Maa Ishwari Krishi Pariyojana farm in 2007. “Farming is the key to good health although it is packed with umpteen challenges. It demands consistent hard-work and dedication nonetheless it is peaceful unlike the banking job that leads to high-stress always,” affirms Mr. Barun Singh. He resigned from his job seven years before retirement, leaving the perks he could have received being in a government job for growing food in his farmland. The farm is located at Patuaha village, Saharsa district, Bihar. Maa Ishwari Krishi Pariyojana is split in two farms, 5 acre and 40 acre. 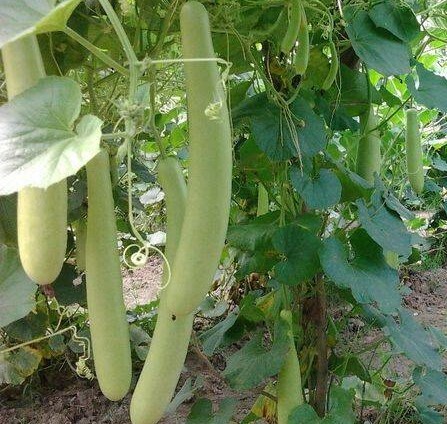 The 40 acre farm has vermicompost unit, banana cultivation using high density technique in 10 acre while in rest of the area vegetables and traditional crops are grown mainly cereals and pulses. The five acre farm has dairy unit, fish pond and vegetable farming. 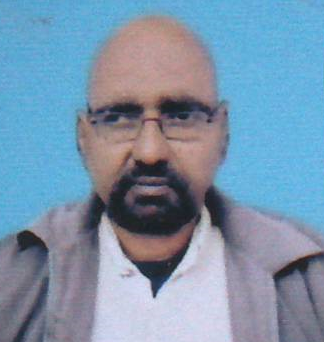 Dairy being intrinsic part of agriculture, Mr. Barun Singh took his first step with the same. Presently the farm has 25 HF cows. 100 litre is everyday milk production. It is sold to cooperatives. Milk is extracted with a milking machine. 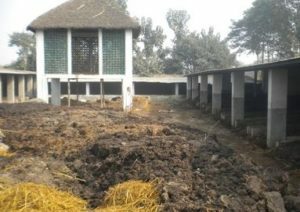 In order to utilize cow dung Mr. Barun Singh started a vermi-compost unit in 2008 to produce and sell vermicompost manure. 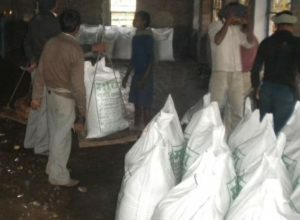 “All our farm waste such as rotten vegetables, dried leaves and fruits is converted into manure. The waste is spread on the ground using the plastic sheet. It is then covered with cow dung and slowly the waste is converted into nutrient rich manure through exotic earthworms. The manure is sold at Rs. 6-8/kg under the brand name ‘Mani Vermicompost’. 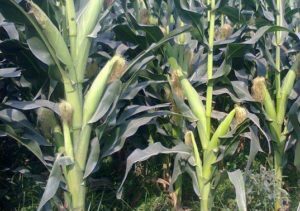 This manure makes the soil fertile and even can transform a barren land into high yielding farmland,” he claims. Capacity of vermicompost unit is 3000 metric ton. The farm has fish pond that largely contributes to the farm revenues. Fish varieties reared are common carp, mirgal rohu and catla. “These fish variants stay in different levels in the pond thus it is easy to manage and also sells easily as we have good demand of fish in our state. Fish seed is sourced from West Bengal through the agent. Later he only harvests the fish and sells in the market. The entire system is standardized and I never face any major issues. In my farm, fishery is the most profitable component of agriculture,” he asserts. Banana grown through high density farming is also gainful for the farm. “All the trees grow uniformly and banana yield is stable. Timely pruning is most important in this technique. Fruits are sold to the trader from the farm gate,” he states. 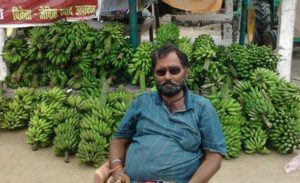 Rest of the farm produces are also sold through traders because Mr. Barun Singh finds direct selling as time intensive and enormously complex. Presently the farming practice is conventional although the farmer advocates organic farming for high production but feels dejected as selling is a huge matter of concern. “Two years (2007-2009) I did 100% chemical free farming and the results obtained were extremely encouraging. I could harvest 150 quintal tomato from one acre while 50 quintal could not be harvested because of lack of labor. Further I couldn’t sell the produce because the traders proposed very low price same as for the conventional produce (Rs. 300 per quintal). It led to the loss as I could not cover up even the production cost. Marketing system of agricultural produce is highly disorganized in Bihar state therefore inspite of doing good work farmers are not able to come up in life!” he opines. In time to come he wants to continue present operations with expansion in fishery unit. “Amongst all the components of agriculture in my farm I find fishery to be the most profitable because in our state demand of fish always exceeds the supply. Besides labor cost is also minimal. So now I am planning to increase the area of fish farming,” he shares.